In bid to make sure accountability of the stock of weaponry of the Police Force in Nigeria, Suleiman Abba, the acting Inspector-General of Police has ordered a comprehensive check as well as audit of Police armouries across the country. This was contained in a statement issued and signed on Wednesday by the Police Public Relations Officer (PPRO) Acting. 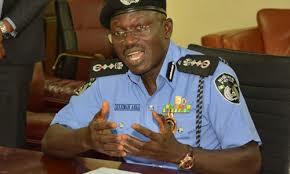 Commissioner of Police, Emmanuel Ojukwu. The statement noted that the exercise, which had already commenced, will cover all Police Commands, formations, stations and units across the country. This measure will also enable the force to review the current state of arms and ammunition in stock at various Police armouries.